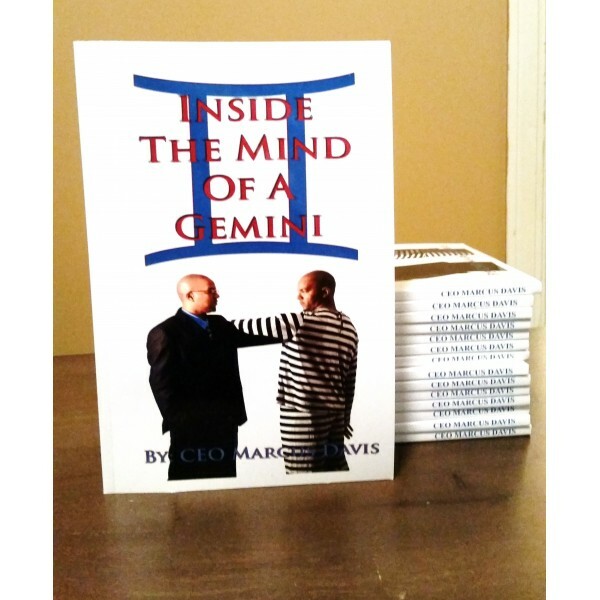 Inside The Mind of A Gemini – Dreams Made Real Inc. In his debut as an author, CEO Marcus Davis showcases his skills as a writer in this very insightful and thought provoking book of poetry. Many of his poems cover topics and issues including relationships, politics, religion, and more while others describe his life’s experiences, goals, and observations. Marcus Davis was born and raised in Louisville, KY. A poetry writer since middle school, Marcus finally decided to start writing songs and started recording in studios by age 17. From the beginning, Marcus was a conscious artist whose goal was to raise the awareness of people through music. He considers himself as sort of a lyrical activist and vows to never be influenced by the commercial factors that he believes has done great harm to music as a whole, especially Hiphop. From being raised in poverty, to doing time for a foolish crime committed as a young adult, to college, to meeting high ranking public officials, Marcus has a wide variety of experiences to draw from and incorporates them all in his music and poetry in a positive way while never cursing in any of his verses. His music and style has been compared to Nas, Common, and Mos Def by thousands of listeners that have heard his songs online. In 2009, he founded Dreams Made Real Inc. and, as CEO, plans to make all positive books, music, and movies mainstream. Next Next post: DMRpresents: Compilation Album and Documentary!